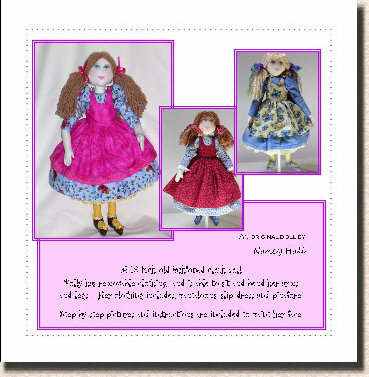 This charming doll has pantaloons, slip, dress and petticoat. Her shoes are painted onto her legs. Her clothing is completely removable. The pattern comes with two arm types, bent or sewn across at the elbows so they are bendable. The legs are sewn across at the knees so they can bend. 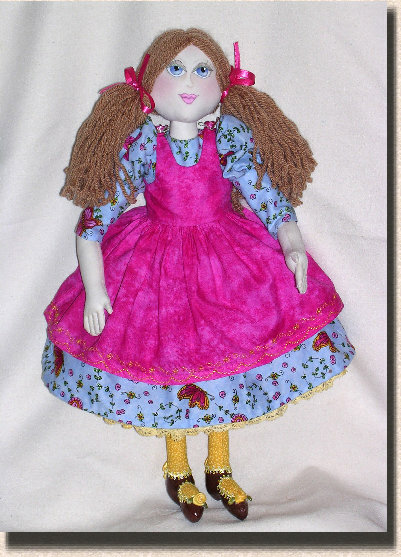 Use those leftover long pieces of fabric to make this doll! The Pattern is on a CD in both PDF and Word. It includes detailed step by step color photos and instructions on painting the face. The pattern is also available as an E-Pattern only through ETSY in PDF Format only. Pattern will be emailed to you after payment is received.